Although our whole range of safety eyewear is used within the medical field, we have a number of safety glasses & goggles that are specifically very popular within the industry. Some others (lower down the page) are specifically designed as Autoclave and Clean-room model. 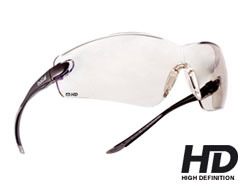 We created this section to separate them from the other more generic safety eyewear and allow an easy comparison. The AutoClave models are specifically designed to withstand numerous cycles at high-temperatures within an autoclave up to 140 Celsius. See these at the bottom of this page.